Any questions for Matthew Elliott? 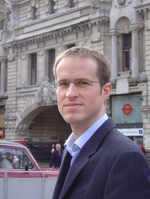 Matthew Elliott is the co-founder and Chief Executive of the TaxPayers' Alliance. 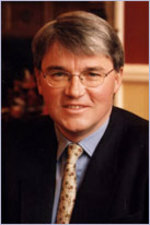 He was born and brought up in Leeds and after studying at the LSE he worked for Bill Cash's European Foundation and in the House of Commons and the European Parliament. The TaxPayers' Alliance was founded in 2004 and campaigns for lower taxes. It currently has over 15,000 supporters and won the 2006 ConservativeHome "One to Watch" award. You can leave questions for Matthew in the thread below or email them here. "First of all, many thanks for the Tim Montgomerie for this opportunity to engage with these issues. It is a bit frustrating that these questions are all about grammar schools when this speech ranged very widely, but they do help explain what my speech was all about." N: "You base your argument that grammar schools do not promote social mobility on statistics relating to the number of pupils entitled to free school meals. Do other indices of poverty corroborate this finding? 30% of the pupils at my former school are from the most deprived quintile. 50% of pupils are ethnic minorities, many of whom speak English as a foreign language. This might not be typical, I concede, but it is one example of a grammar school that does not entrench privilege." "There has been some misunderstanding of the evidence on free school meal eligibility (FSM) and grammar schools. I cited evidence from the Sutton Trust (The Sutton Trust, 'Rates of Eligibility for Free School Meals at the Top State Schools', October 2005) that across the nation as a whole 14% of pupils are eligible for free school meals, whereas in areas where the grammar schools survive, the figure is 12%. However, only 2% of the grammar school children are eligible for free school meals. (Incidentally, these are figures for free meal eligibility, rather than claims). Some of the children who are missing out in this way are of high-ability (measured in terms of their Key Stage 2 score). It is not merely that poor children are underrepresented at grammar schools, high ability children from poor families are underrepresented at grammar schools. A high ability FSM child has a 32% of passing the 11+ whereas a more affluent high ability child has a 60% chance. (A. Atkinson, P. Gregg, B. McConnell, 'The result of 11 plus selection; An investigation into opportunities and outcomes for pupils in selective LEAs', April 2006, Working Paper No. 06/150, CMPO). I know that this is uncomfortable evidence, but we need to confront it. Some people have written to me to explain that they were from modest backgrounds and that they owe their achievements in life to grammar schools. I have no doubt that grammar schools truly helped those people. Grammar schools remain excellent schools for those people who get into them; this is why we are committed to keeping them. However, as society has changed so it has affected the diversity of experiences of childhood and made social selection more of a problem. Many of those people from poor backgrounds who got into grammar schools in previous decades would not do so now. "There is a substantial body of evidence that suggest that children from higher socio-economic backgrounds are more likely to access grammar schools, for a given level of ability. This results in children from wealthier backgrounds being disproportionately represented in grammar schools. Although most research on current data relies on using the somewhat limited Free School Meal measure as an indicator of the socio-economic background of the child, earlier studies that used rich information on parental income and/or social class, also find that children from more advantaged backgrounds are more likely to be enrolled in grammar school than similarly able but less well off children." (Cited with permission of the author). Any questions for David Willetts... about grammar schools? Shadow Education Secretary David Willetts certainly hasn't been hiding since the grammar schools row took off. He's been all over the broadcasters patiently answering all questions and has twice contributed to ConservativeHome (here and here). I thank David for that and for today's initiative in inviting ConservativeHome readers to submit your "toughest" questions on Tory grammar schools policy. Please use the thread below to pose a question for David or email me with it. I'll then choose ten questions that represent the topics you all raise and submit them to him. ToryT: Mrs. May, Dan Hannan said in his article on our local results that your early decision to go for a maximum number of candidates locally - ie standing even in rock solid Labour wards - would grow our parliamentary base. Apart from the councillor gains, what effect do you think those losing candidates new to Labour wards will have on the General Election? It seems a very efficient way of flushing out our vote in Labour's bedrock and I wondered of the party had any data on that. I support selecting as many candidates as early as possible for lots of reasons. First of all I think it is important that every voter – regardless of where they live in the country – should have the opportunity to vote Conservative should they wish. Having said that, it’s also advantageous for the Party because it helps us to build a base in those areas where we have not in, recent times, been as active as we’d have liked. It means that opposing parties don’t get a free run but are challenged to prove themselves to voters.. In seats where perhaps we don’t expect to win at the next general election, the new infrastructure gives us a chance to win local council seats and to build a campaigning base which could help us to win in the future. Politics is changing and as the demographics of different constituencies change so we need to be awake to the possibility of making gains where we have not traditionally done so. Pisaboy: Do you have any thoughts on how Parliament's website can be more dynamic? The internet is changing all forms of communication, and this definitely includes political communication. It makes it much easier for politicians to communicate directly with voters – think of the interest when David launched WebCameron, or Tony Blair’s rather embarrassing attempt to catch up on YouTube. But this easier communication doesn’t make it easier to control a message. On the contrary, the internet makes information easier to come by, but harder to control – think of the success of blogs like ConservativeHome and Guido Fawkes. I definitely think Parliament’s website can be improved – perhaps it could have better access to video feed, include interactive features or have discussion forums. These modern means of communication are one reason why I recently opposed the Government’s decision to grant MPs a new communications allowance. With new technology giving us the opportunity to communicate directly with voters very cheaply, why did Labour MPs vote for a £10,000 allowance to tell voters what a good job they do? Any Questions for Sam Coates? Samuel Coates is Deputy Editor of ConservativeHome. Sam has been active in politics and journalism since secondary school and joined the Conservative Party early on. Brought up in Liverpool, he worked for the Liverpool Echo and Daily Post newspapers, and on a target seat election campaign. He was reading Politics and International Relations at Oxford Brookes University, but has largely put that on hold for now to work on ConservativeHome. You can leave your questions for Sam Coates in the thread below or email them here. 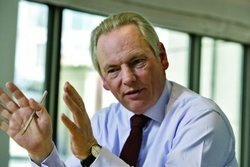 Do you have a question you would like to put to Francis Maude. In the latest Challenge the Chairman interview Jonathan Sheppard will be putting your questions to The Chairman of the Party. Could the Conservatives have done better in Scotland? Is the party on the right track in the North? Ask the questions you think Francis should answer. Either leave them in the comment section below or email [email protected]. 24th May update: Listen to Francis Maude's answers at ToryRadio. Any questions for Theresa May? 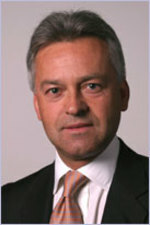 Theresa May was first elected as MP for Maidenhead in 1997. In her ten years in Parliament she has held six Shadow Cabinet jobs but is perhaps best known for her tenure as Iain Duncan Smith's Party Chairman. Since David Cameron's election she has been Shadow Leader of the House of Commons. Before she was elected Theresa worked in the banking industry and had served as a councillor in the London Borough of Merton. You can leave your questions for Theresa May in the thread below or email them here.